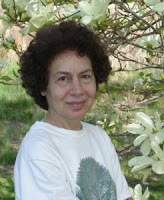 A celebration of the life and work of VCCA writer Evelyn Shakir will be held on Monday, October 4, 2010, at 4:45 pm in the Adamian Academic Center at Bentley University in Waltham, Massachusetts. Evelyn died in May after a two-year struggle with cancer. A gracious, generous presence, Evelyn had been a Fellow-in-Residence at VCCA seven times since 1992, often with her life companion, VCCA poet George Ellenbogen. On the nine-year anniversary of 9/11, The New York Times selected "My Nine Years as a Middle-Eastern-American" by VCCA Fellow Porochista Khakpour for their Op-Ed piece. A New Yorker, Khakpour notes that it has taken almost ten years for the anti-Muslim backlash to fully emerge, triggered by plans to build an interfaith cultural center near ground zero and by having an African-American president. She reflects that in some ways, it may actually have been easier to be a Middle-Easterner in the George W. Bush era. "Thanks again to all the women soldiers," was Helen's response to winning the 2010 National Women's Political Caucus Exceptional Merit in Media Award (EMMA) for her book, The Lonely Soldier: The Private War of Women Serving in Iraq (Beacon Press, 2009) and a related article in Ms. magazine. The judges noted, "As a result of Helen Benedict's provocative article, and subsequent book, The Lonely Soldier, the stories of women in the military who have faced sexual assaults, harassment and discrimination now have a voice." VCCA Fellows Verne Dawson and Lorraine O'Grady were both chosen for this year's Whitney Biennial. Lorraine O'Grady's diptych series, The First and Last of the Modernists, paired the meteoric lives of the 19th century poet Baudelaire and the 20th century American musician Michael Jackson. It explored the roles of art and popular culture, and how modern figures are attenuated through the news media. In Pagans, Vern Dawson investigated contemporary life's vanishing connections to the natural origins of myths, folktales and traditions, and posited the regenerative qualities of a culture in harmony with nature. The Whitney Biennial closed May 30.